Our Registered Dietitian Nutritionists are very passionate about helping others create a healthier and happier lifestyle. 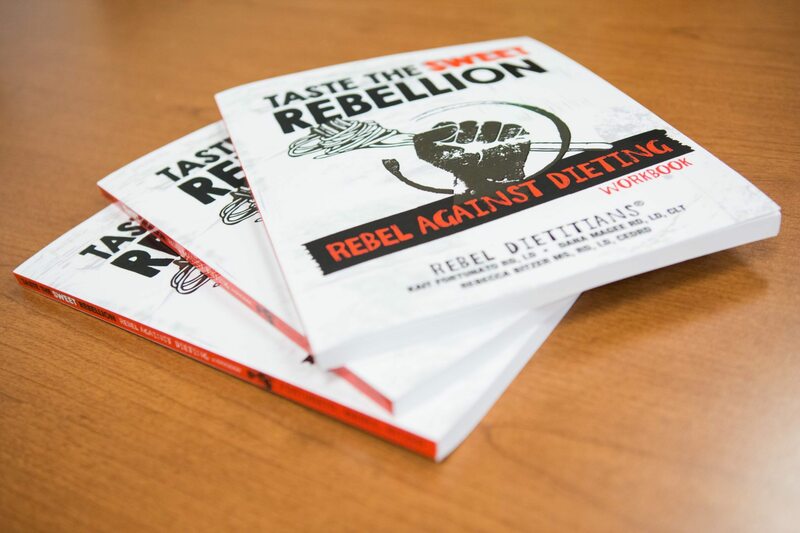 In order to make a larger impact our Registered Dietitian Nutritionists Rebecca Bitzer MS, RDN, CEDRD and Dana Magee RDN, LDN, CLT, authored a workbook for clients and a workbook for dietitians. 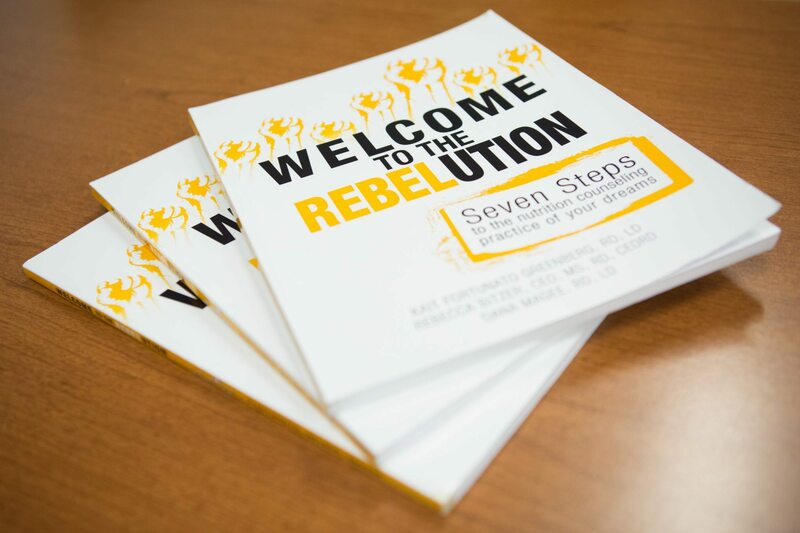 Learn more about our REBEL approach. Our dietitians also want to help other dietitians create the nutrition counseling practice of their dreams so they can work with clients they are passionate about and provide them the best possible care. Learn more about our dietitian coaching.